The Sea Pines shell ring is one of the first pieces of evidence of human occupation on Hilton Head Island. It can be seen near the east entrance to the Sea Pines Forest Preserve. The ring, one of only 20 in existence, is 150 feet (46 m) in diameter and is believed to be over 4,000 years old. Archeologists believe that the ring was a refuse heap, created by Native Americans who lived in the interior of the ring, which was kept clear and used as a common area, while they lived here during seasons when food was plentiful. The written History of Hilton Head Island began with the Spaniards in 1526, as they explored the coastal waters from Key West to the St. Lawrence, naming it “La Florida”. They found Indian settlements and evidence of agriculture. (With the arrival of the Europeans, the Indians fate was signed, so that by the year 1662, most of the Indians were gone due to European abuse and disease. But, they left a rich legacy of names and archaeological treasures still being unearthed today). 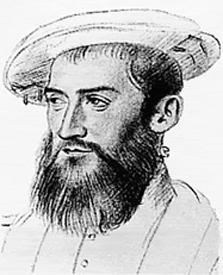 Captain Jean Ribault, a French Huguenot, led an exposition to the area in 1562. He built a fort, named Port Royal near the present town of Port Royal in Beaufort County. In 1566, the Spanish again prevailed and established a Fort named Santa Elena on Parris Island (St. Helena), in what is now Beaufort County. From here they explored westward into the new world. As the scale of power tipped in Europe, England’s Elizabeth I sent Sir Francis Drake, in 1586, to drive the Spanish from “La Florida”. English development did not commence until 1663, when then King Charles II granted the Coastal Area to 8 Lord Proprietors. They named their territory “Carolina”. 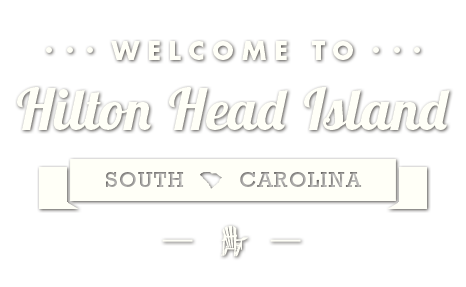 English Captain William Hilton, in August of 1663, while exploring the Port Royal Sound, sighted the high bluffs of the Island, and named it for himself, “Hilton Head.” The word “Head” refers to the headlands visible to them as they sailed the uncharted waters. He lingered several days, making note of the trees, crops, and also the sweet water and clear sweet air. The first English development in the Low Country began in 1698. Indian attacks, sponsored by the Spanish, continued to harrass the settlers in the area. In 1717, Col. John Barnwell was granted a thousand acres on the NW corner of Hilton Head Island by the Lord Proprietors. He became the first white settler. By 1766, 25 families lived on Hilton Head Island. In 1742 the SC colonial half-galley Beaufort, commanded by Captain David Cutler Braddock, was stationed in the cove at the southern point of the Island to guard against Spanish intrusions. The point and the cove have carried the name Braddock ever since. As talk of Revolution escalated in the Colonies, Hilton Head Island sided with the Colonists. 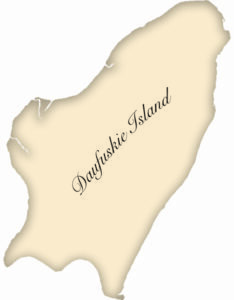 Daufuskie Island, just 1 mile south of the Island, was occupied by the Tories. During the Revolution, the British frequently raided Hilton Head Island and hostilities continued for weeks after Cornwallis surrendered at Yorktown. During the war, the British burned Plantations on the Island and captured slaves who were later sold in the West Indies. After the war, the Island made a healthy recovery. This became the “Golden Age”, as the crops of cotton, indigo, and rice flourished. “Houses on the Island during this prosperous period between the Revolutionary and the Civil War, were not the pillared mansions of romantic novels. Although large and airy, the majority were not the owner’s main house. Lavish Townhouses were kept in Beaufort or Savannah, or even Charleston.” Many of these homes are still in use today. The War of 1812 once again disrupted life on the Island, as the British invaded and burned most of the houses near deep water. When the War was over, the Island’s booming ecomony returned and the good life resumed. South Carolina was among the richest of States, and Hilton Head Island was responsible for several millionaires. South Carolina was the 1st State to secede from the Union on December 20, 1860. The Civil War began April 12, 1861, with Confederates firing on Fort Sumter in Charleston harbor. In January, 1861, General Robert E. Lee was assigned command of the coasts of South Carolina, Georgia, and East Florida. By October of 1861, 77 Union ships sailed from Virginia to Port Royal. On board were 13,000 troops, 1500 horses, 500 surf boats, and 1,000 laborers to build a town and fortress for the blockade of the South. In November, 1861, after surviving a hurricane off Cape Hatteras, the small armada circled Port Royal Sound, firing at all settlements in the area. By noon of that day, on November 7th, the Confederates knew the battle for the area was lost, and fled before the invading forces of the Union. Victory that day for the Union meant freedom for 1,000 slaves. The Yankees were here to stay until the War’s end. Fort Mitchel was built in 1862. It was named for General Ormsby Mitchel, a well liked leader, who died of malaria that year. Eventually, Union Forces reached 50,000 on the Island. The blockade of Savannah was accomplished, preventing the Confederacy from exporting cotton and importing supplies from Europe. Hilton Head was Headquarters for the South Atlantic Blockading Squadron. The Island became the transfer point for prisoners of war and the wounded as well as Union Soldiers on their way to battle and tons of supplies. Black males on the Island and in the surrounding area were pressed into service, becoming the first Black troops for the Union. The money they earned as soldiers enabled them, after the War, to buy land on Hilton Head Island. General Mitchel, before his death, began construction of adequate housing for several thousand homeless Blacks who had gathered on the island since the War began. Mitchelville was the first town developed specifically for the freedmen. It had almost 1,500 residents. During this time, their children attended schools and they lived in this housing for the duration of the War. After Lee’s surrender at Appomatox, the Federal troops departed for the North. Only Mitchelville inhabitants remained. With the passage of time Mitchelville disappeared, and the island was left to nature and the freed slaves. Hilton Head Island was again forgotten. Small communities of former slaves sprang up on the island. These communities consisted of farmers, fishermen, basket weavers and fishnet makers. Summer was for farming, winter was for harvesting oysters and in the fall the “blue crab” was caught. Island navigators piloted boats between Savannah and the island. “Gullah,” a blend of slave, native, cadence, and Elizabethian English was spoken here. This rich Culture, developed over the years of slavery, survives to this day. Old spirituals and songs were made up and used by slaves as codes for meeting times and places and as messages for freedom. The songs and stories also spoke of storms and other events in the lives of the slaves. As interest in the history of African-Americans on Hilton Head grows more evidence of their lifestyle is being preserved. The Gullah culture continues as community leaders encourage its preservation. By 1890, Northerners again came, this time to hunt and fish the abundant game. 1,000 acres in Leamington Plantation were sold to the North Carolina Hunt Club. Money was scarce and the Islanders bartered for goods and services. In 1931, more land was acquired for hunting purposes, including those remaining lands owned by the Federal Government. By now, the black population was around 300. Access to the island was by water only. 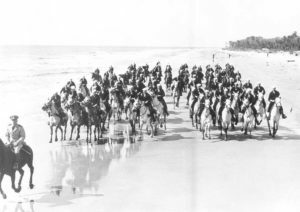 Mounted Beach Patrol training on HHI during World War II. emplacements for target practice out over the Atlantic are still visible south of the Hyatt Hotel as the sands shift with the tides. These join Indian relics and landmarks of the Revolution and Civil War that are found throughout the island. Modern Age: 1950 marks the beginning of the Modern Age of Hilton Head Island. Electricity arrived in 1951 and the first telephone was installed in 1960. In the fifties, Charles Fraser and Fred Hack led a group of Georgia natives in the purchase of 19,000 of the Island’s 25,000 acres. These farsighted men ended the use of Land for timbering and hunting, and began selling the Land to developers. They brought a system of land use that became the prototype of many other successful developments by focusing on preserving the natural environment. Dirt roads gave way to paved ones. Beautiful bridges replaced Ferry boats accessing the Island. Residential Plantations were developed, often around original Plantation boundaries. Rapid growth of the Island began in 1970, and the population has grown from 2,500 then to some 39,000+ in 2006. In 1970, The Island Packet, our present daily Newspaper, was first published as a 12 page tabloid. In 1975, the Island Hospital was built, and the Town population was then 6,500. 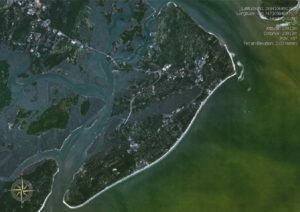 In 1983, the Town of Hilton Head was Incorporated. Today, this beautiful sea island continues to offer visitors and residents alike a beautiful oasis featuring miles of pristine Atlantic Ocean beaches, World-Class golf, tennis recreation and a renewal of spirit as one finds himself surrounded, and enriched by, the peaceful beauty of nature. Our Thanks and Appreciation to Margaret Greer, author of the Book, “The Sands Of Time, A History of Hilton Head Island” used as a source for this brief history. Thanks to Jane Aurandt for compiling this History of the Island.